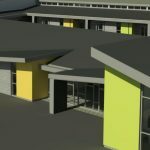 Our brand new school opened in September 2018 as a result of the closure of Brynhyfryd Primary school, Llansawel Primary School and Ynysmaerdy Primary School. We are in the heart of the village of Briton Ferry and the school is set in a large site with its own playing fields and large playground. It provides an exciting and innocative learning environment designed to a high specification to meet the needs of the local community. Thank you for taking the time to visit our website. We aim, to keep families in touch with what is going on at our school. If you would like to visit the school in person, please make an appointment to come in and speak to me. Breakfast Club Times – (Reception – Year 6 ONLY) Admission between 8.30-8.40. To register your child in Breakfast Club, please complete and return the form below.